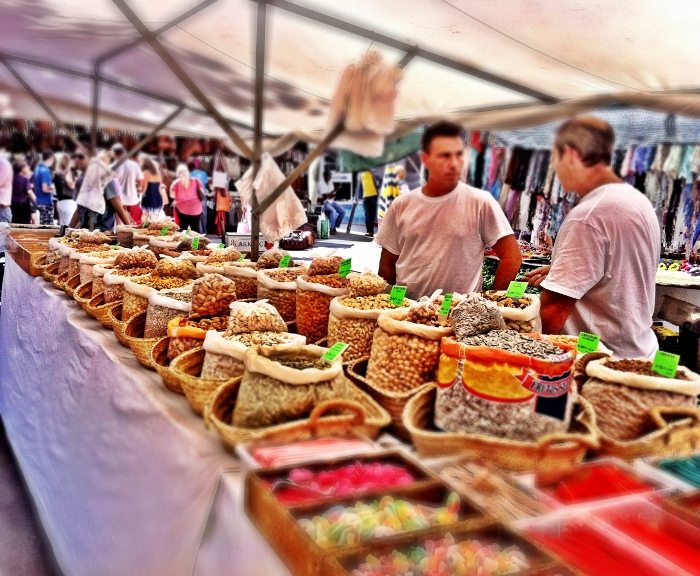 It is the norm to spend at least one day whilst on holiday strolling through the destination’s markets. Why? Because you can buy things you probably wouldn’t find back home: unique tapestries, traditional wear, popular souvenirs and of course…. FOOD! 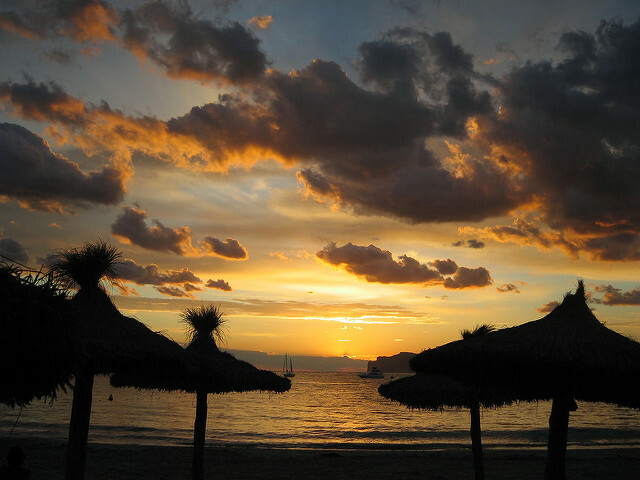 Before Mallorca became a top tourist destination it was known for its many industries and one in particular was leather, with Inca as the island’s front runner. The town, which you can visit by bus or train, (we advise the latter so you can take in the beautiful scenic views on the way) holds a weekly Thursday market where you can purchase a variety of leather products (shoes, bags, jackets…) and many other items like jewellery, clothes and gifts. It’s a great way to spend a day out, comparing different products and talking to the locals (winning them over with a few pre-learnt Catalan phrases! 😉 ). Located in the north of Mallorca, this walled city makes for a perfect day trip because not only do you have two days worth of market time on Tuesdays and Sundays (better so you’re not under pressure to go on just one set day) but when your arms are tired from carrying your many shopping bags you can relax at a nearby cafe, blissfully watching the world go by. After your break you can spend a couple of hours in the afternoon appreciating all the old walls and historical monuments that Alcudia has to offer. What’s more, it’s not a far walk from our Piscis Adults-Only Hotel; a very important factor when it’s boiling out. After all, why take a hot, busy bus or train when you can easily walk the way there? Now this is a real shopper’s paradise. Located most the way up Palma city’s main avenue you’ll find an abundance of souvenirs and nik-naks every Saturday from 8:00-14:00. You’ll learn the art of haggling, don’t be shy; get that bargain! By no time at all you’ll be an expert and you’ll appreciate it when you go home with your suitcase full of great gifts for your family and friends without having that guilty feeling after you’re done splurging. Now to honour your tastebuds. 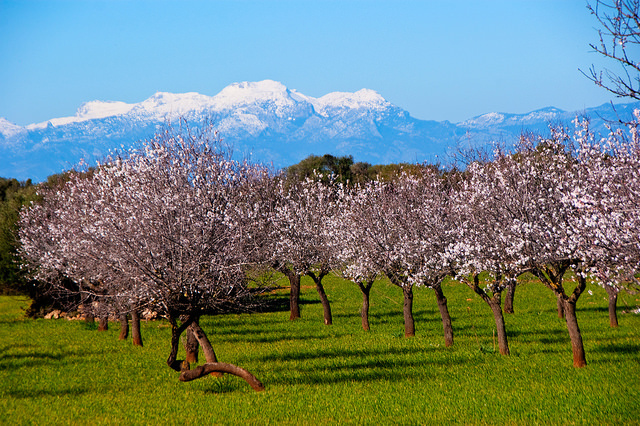 If you’re familiar with the attitude towards food in Mallorca you’ll know that most people like buying fresh food or staying traditional and doing their food shop in different places specific to what they want to buy, i.e. frutería for their fruit, carnicería for their meat. There’s no difference to their markets; they want to buy locally and, more importantly; fresh. 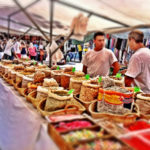 This market, also located in Palma near the main square Plaza España, holds indoor food stalls for just that: Fresh fruit & veg, roast chicken or honey-glazed pork chops already set for barbequing, sushi accompanied with a glass of cava… Whatever your food preference; this market has it! New; upscale and very á la mode. This is another food market north of Plaza España but with a twist. With comfortable lounge chairs, terraces, wine tasting, cookery shows and sometimes even concerts you’ll never be bored visiting this market. As for the food itself, you’ll find stalls serving every type of food you could think of: Thai, Japanese, Spanish, Italian, traditionally Mallorcan… Team it with a cocktail and tasty dessert and you’ll never want to leave! And with the flexible opening times (10:00 to 00:00, or until 2:00 on the weekends) you could spend breakfast, lunch and dinner there and it still wouldn’t be enough time to appreciate all the food and entertainment! 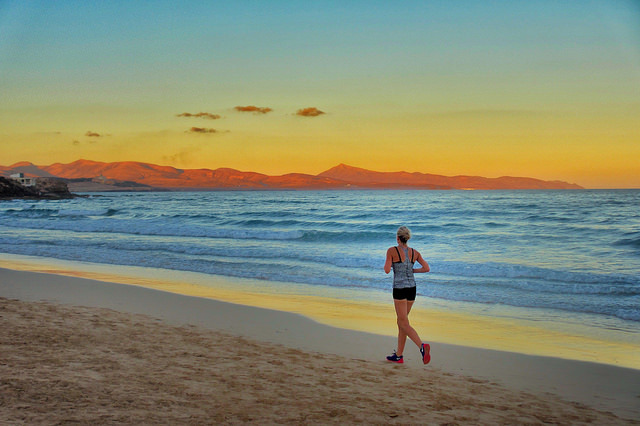 If you don’t want to travel too far from your hotel, you can enjoy all of the above but on a smaller scale just several minutes walk from many of our Gran Isla Hotels. Because many markets tend to open early, sometimes it’s best to visit the local market to save you from having to get up at an unholy hour when in actual fact you should be appreciating a well-deserved lie-in. You’ll find lots of fresh produce as well as clothes, shoes and many traditional Mallorcan products and having a walk around the town may help you learn more about the local community as well!